House about this for a lineup? The INHOUSE Jazz series of house concerts will continue its 2019 season with performances by Portland pianist Steve Christofferson and Stumptown saxophonist David Evans this Sunday, April 14. The concert, hosted by vocalist Annie Averre, will showcase classic ballads, jazz standards and pop, paired with favorite selections from the artists’ recordings. 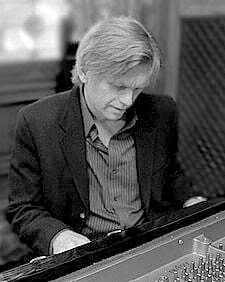 Pianist Steve Christofferson performs in clubs and festivals around the world. He is best known for accompanying Grammy-nominated vocalist Nancy King. Christofferson plays piano with exemplary depth and warmth, creating his signature sound by doubling on melodica, which he makes a surprisingly poignant tool for improvisation as well as for lead lines. Christofferson lays down graceful chord structures on piano, filling in atmospheric washes or subtly funky solos, thickening the tonal palette with the melodica’s distinctive blend of innocence and yearning. 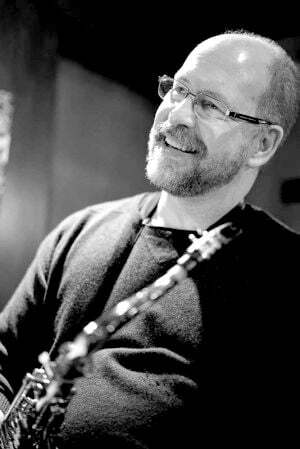 Saxophonist David Evans began playing professionally around the Southeast in his early teens. In New Orleans in 1984, he played with national acts like Johnny Mathis, Gladys Knight, The Four Tops, The Temptations and many others. A resident of Portland since 1994, he has performed or recorded with the best of the best. Sunday’s concert will run from 2:30 to 5:30 pm in a private home in Seal Rock, with admission by suggested donation of $15 to $30. For reservations and directions, call 360-606-7136 or email aaverre@hotmail.com. Profits from InHouse Jazz concerts are donated in support of music education for young people. For more information, go to inhousejazz.org.